Houdini at http://www.sidefx.com for $99 – $7995 from Alex Lindsay. LensCoat at http://lenscoat.com (and on Amazon) from Scott Bourne. Boxee at http://www.boxee.tv from Leo Laporte. Replay Media Catcher (Windows only) at http://www.applian.com for $39.95 from Andy Ihnatko. Path Finder 5 at http://www.cocoatech.com/ for $39.95 from Don McAlister. MacDev 2009 Conference from Don McAlister. Legacy of Ashes: The History of the CIA from Leo Laporte. 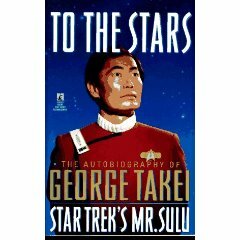 To the Stars: The Autobiography of George Takei, Star Trek’s Mr. Sulu from Andy Ihnatko. Bonus Link:Ã?â? ?Ã?Â What’s an Alex? Got around to listening to some older podcasts, and THANK YOU for recommending Path Finder, there’s so many things that’ll be helpful to me as a programmer.